Put-in: River right road, at old Mine site. Take-out: At the Ashlu Dam, on river right. 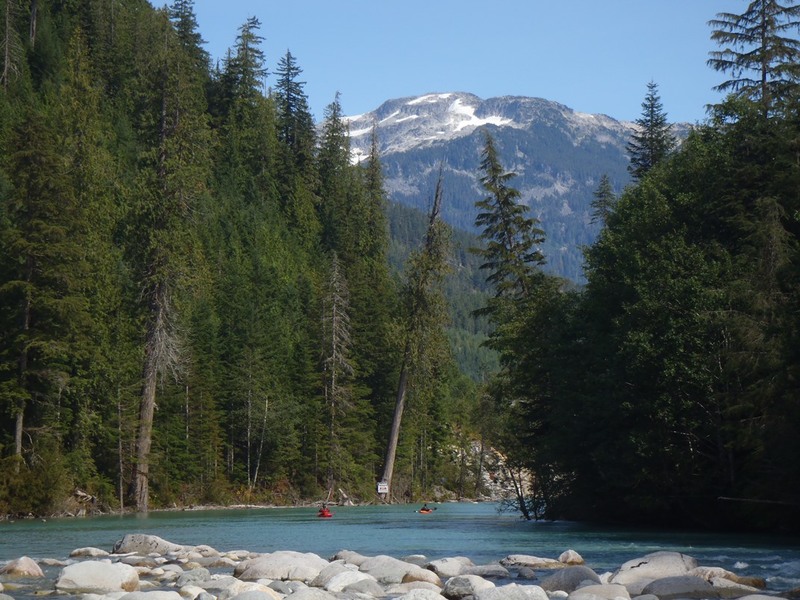 We actually didn’t get the green light on Tatlow until an hour after we went to sleep on the sixth day (4th in BC). I hear Darin hollering that Will (a nice guy we met on the Cheak a day earlier) confirmed the trip. 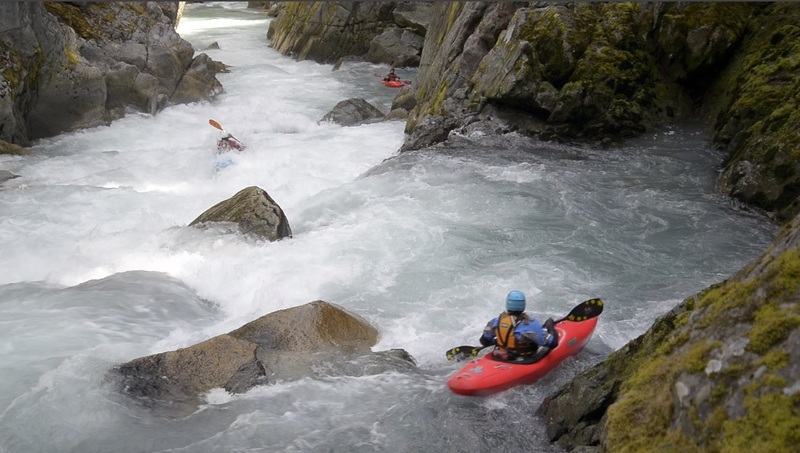 So the next morning we wake up and head south to Squamish planning for the Tatlow. However, the Vancouver gang had some issues, and ended up arriving late… and without a car capable of getting to take-out. With some hesitation we decided in order to save 4 hours of hiking (it was already noon)… to try to make the drive in my car. Well, 200 yards past the Ashlu Lake we bottomed out and managed to crush my exhaust and impinge it against my drive train. So… that was that, no Tatlow (we were not feeling the hike from the bottom). The logical plan B in this case was of course the Ashlu. The take-out is just a few km away on the other side of the river. And the put-in is quick just up the road… of course even that road pushed my Highlander which barely made it. 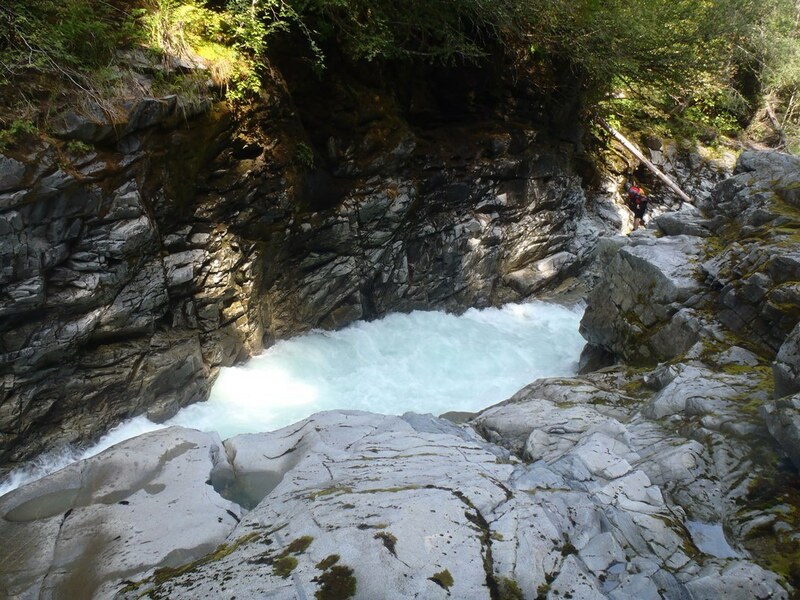 Ashlu’s Mine run is certainly less famous than its downriver brother, the Box Canyon. 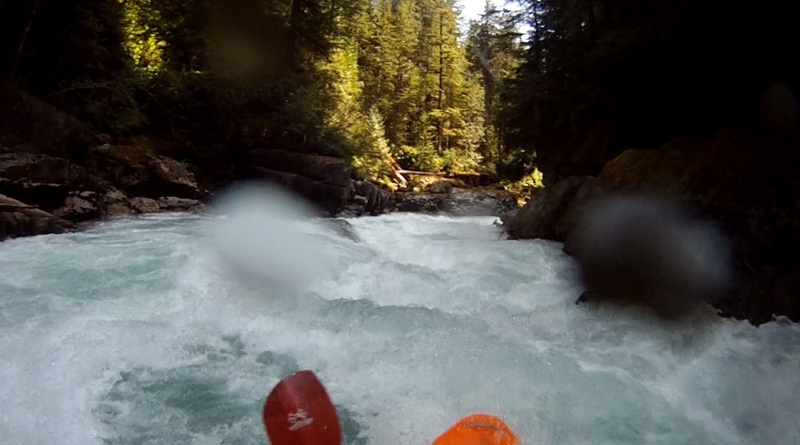 But Ashlu offers some nice rapids in a similar, though less committing, box canyon. 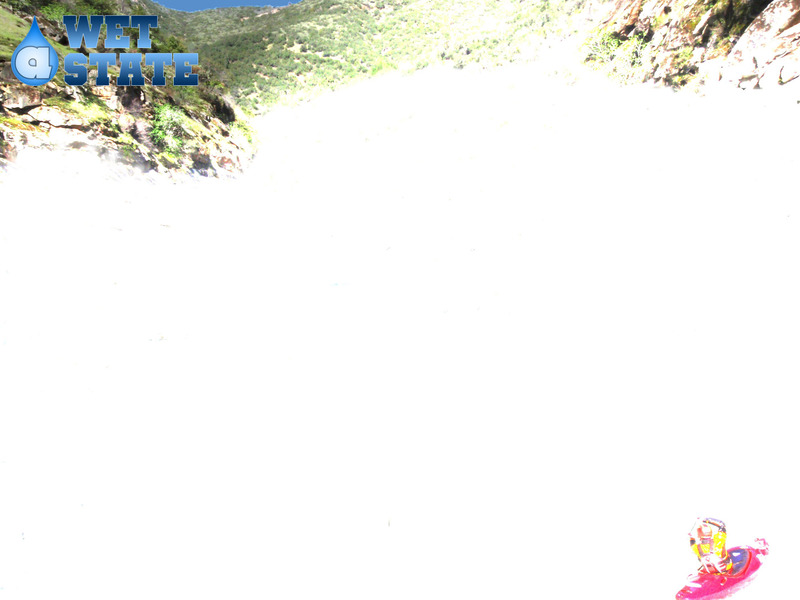 We put in at the Mine Rapid via river right. The irony is that the bottom half of the put-in rapid is one of, if not the, biggest rapid of the run… no warm up here. 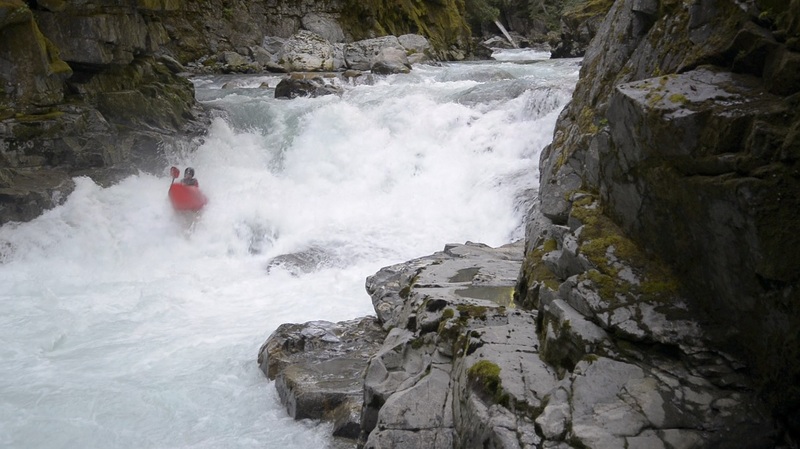 Below, several big, fluffy, and fun rapids continue down to a portage. 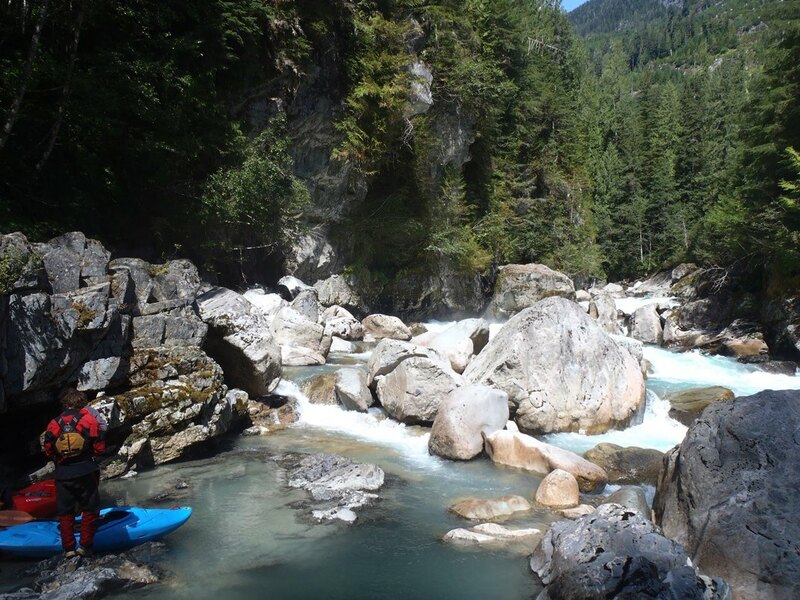 The portage is long, maybe 20 minutes, and requires you to ascend up a dry creek before bushwhacking around a canyon, before then repelling (rather, using rope aid) down to the bottom of the portage. 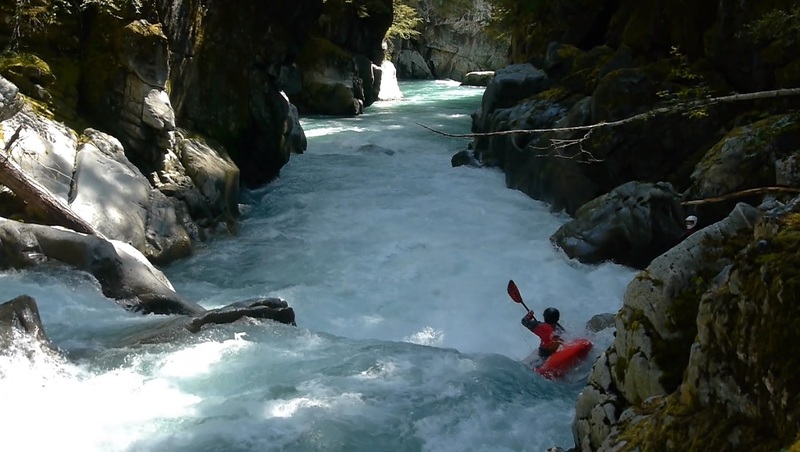 The portage rapid looks like one that would drown you for sure. A big hole leads to a bowl where the only water exiting appears to be under the surface. 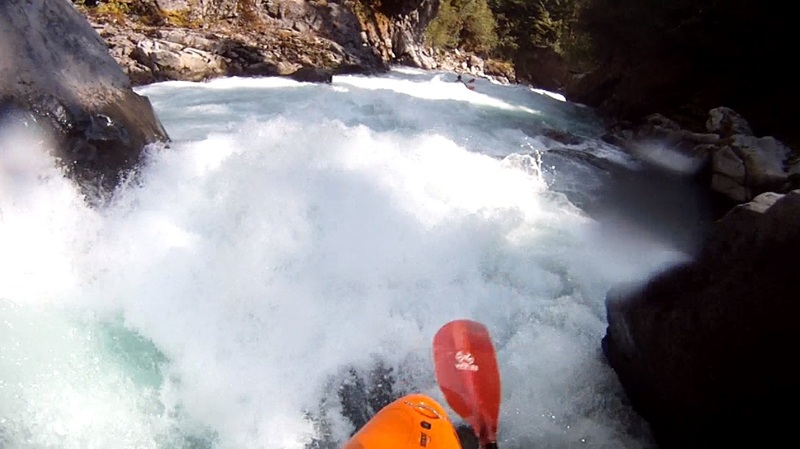 There is an eddy at the lip that would make this a 2 minute portage… but it looked super sketchy and is usually not taken. Below the river quickly opened up. In the end though, this was one of my favorite days on the water. 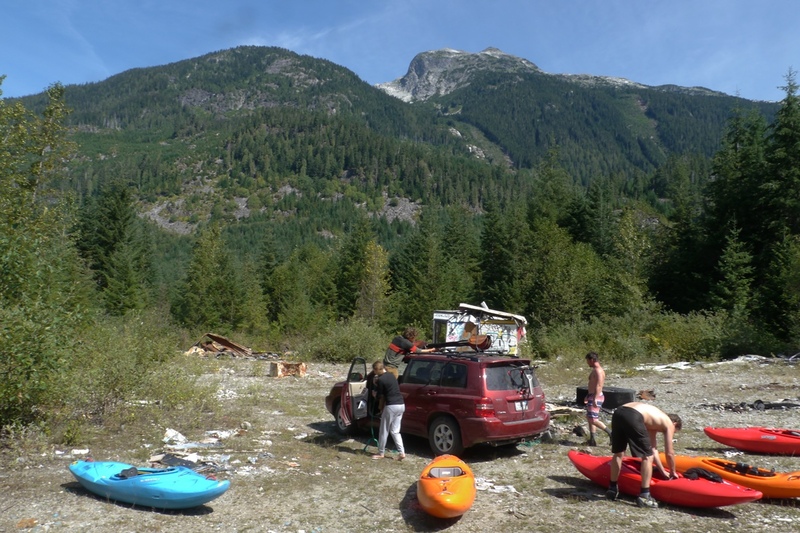 The scenery was great, rapids fun, boating with new friends, and got to enjoy Squamish a little after the run. Just an all-around good, unexpected experience… next time, it will be on my list for sure. We put-in at the Mine Rapid (river right, so mileage is marked from there. Also, first time down, even with folks knowing the lines it felt like a stout day. I think the more you run it the easier it will feel, but it felt like class V to us. Without a person to show the lines I can only imagine it would feel harder. The ratings are based in that reference, from my only trip down the river. I know some locals call this a class IV to IV+ run. Mine Rapid (V- to IV+). You put-in half way down the rapid, below the crux which is hidden from view I believe. Start right and move back left in the far right channel. There is an eddy on the right to move back to. The exit is a sticky ledge that you want to run on the left from the lip. Center Moving Right (IV+). Starting left but entering the meat center, we avoid a hole on the left wall. Boogie (IV). Some great boogie is immediately downstream. We hugged generally right. Everyone Flips (IV+ to V-). The idea is to run center moving right… hard right. The middle has a rock. The problem is the right has a big curler coming off the wall before dropping into an off angle hole. Everyone in our group flipped… other than me who was the only person who got pushed center and while bracing for a massive piton was surprised by a rather large boof over the hole. Total luck though… Scout left. Super Sticky Hole (IV-). The move is actually only class III if even, but the consequence is brutal. The hole is super uniform and has a big uphill climb. Just punch it far right and you go right through it though. This is followed by some more boogie. Part One (IV to IV+). 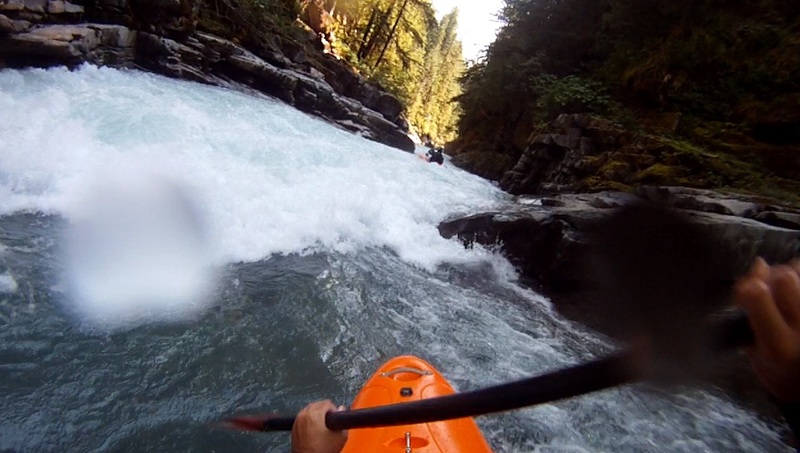 The first part of a two part rapid is scoutable on the right from the lip. Just boof the right side of the center rock and run down the exit. Eddy out right before the next ledge. Part Two (IV+ to V-). So really it just feels like a class IV+, but the hole is large, the recirculating eddy on the right is legit, and apparently there is a sieve in the back of that eddy. Scout right and set safety right. The move is to drop in and let the curler on the ledge push you left to the softer part of the hole and away from the eddy. Easy enough… if it goes well. 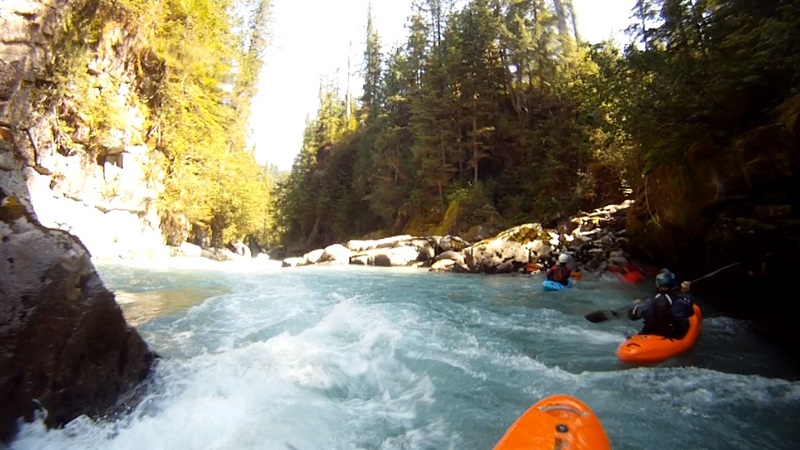 Boogie to Portage (III to IV). 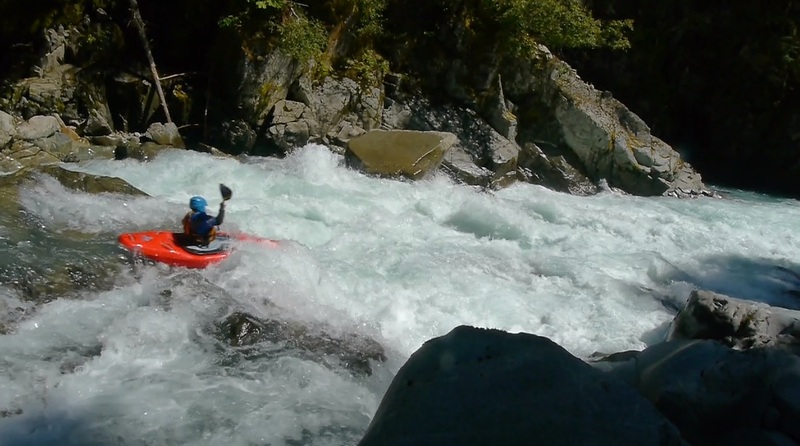 Some easy boogie leads to a left hand turn and a dry creek bed on the right. Eddy out here. DO NOT MISS IT! Portage (V++). Climb up the creek bed about 50 feet and then claw up the dirt edge to a vague trail. Follow this for a few hundred yards. Eventually, you will find some fixed ropes to aid in the down-climb back into the canyon. 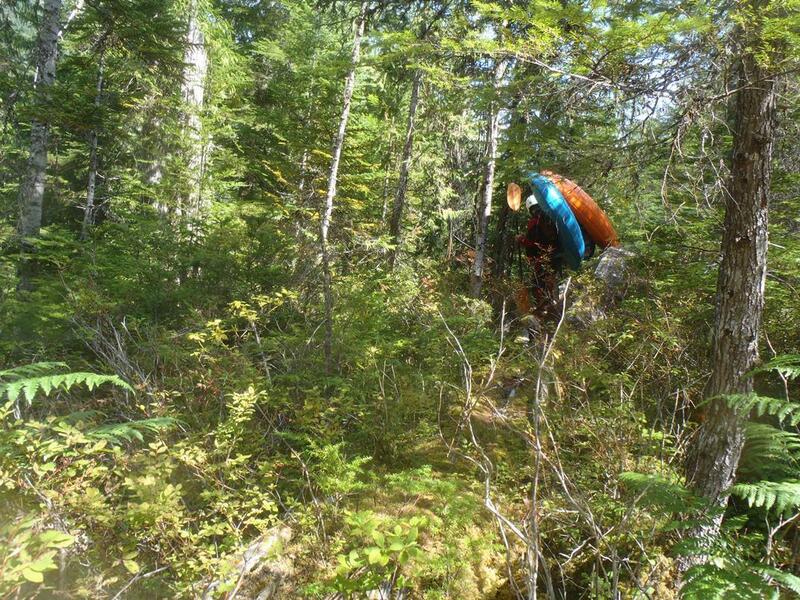 This portage took about 20 minutes and was a complete bushwhack. The rapid itself was a pinch into a pour over hole into a boiling eddy where the exit was blocked by a side current flowing into an undercut. The only exiting water seemed to be on the surface. It looked very dangerous… you 100% would not want to be in the lead of your group dropping in. I do not know if it has been run, but I am sure they had ample safety set there if they did. 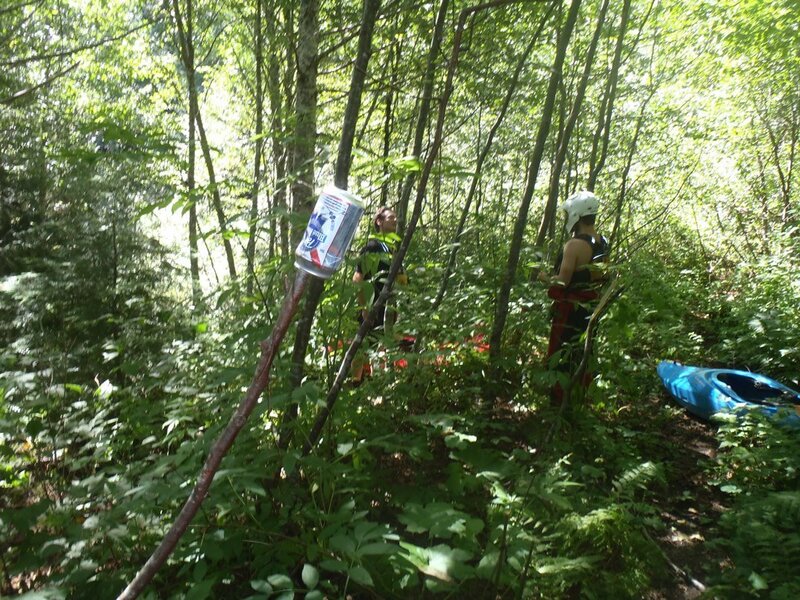 Post Portage (IV). A sticky ledge was just below the portage, we ran right. Boogie (III to IV). A great long section of boogie. 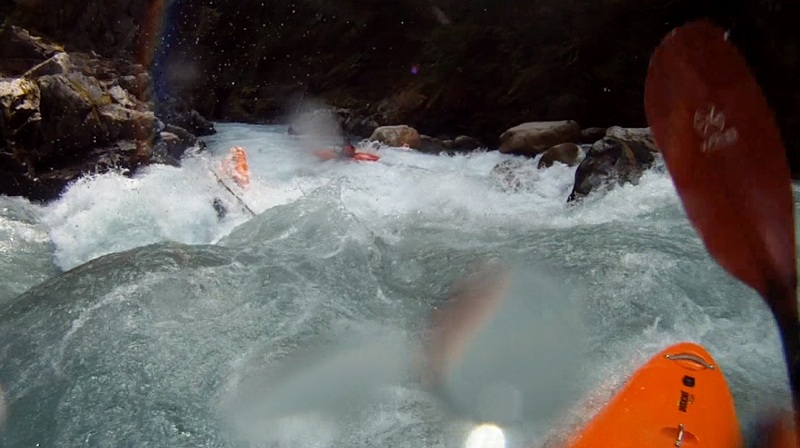 Nice fun clean rapids and nice tight gorges. Really nice section. Last Rapid (IV to IV+). It looks much worse from above. Boat scoutable on the right. 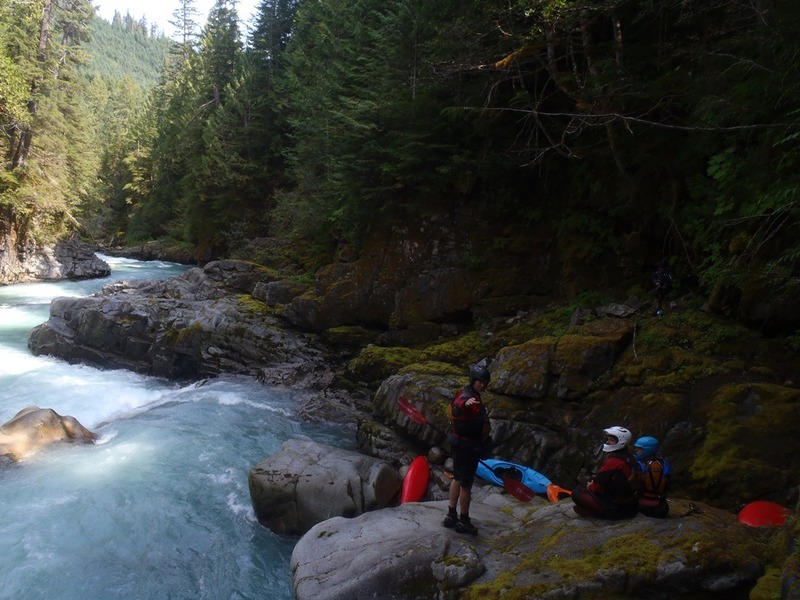 A tallish (maybe 6 foot) ledge in the center of the river is actually just a tongue on the right (don’t drop it on the left, drop in on the right of the center channel). The runout is just class III. 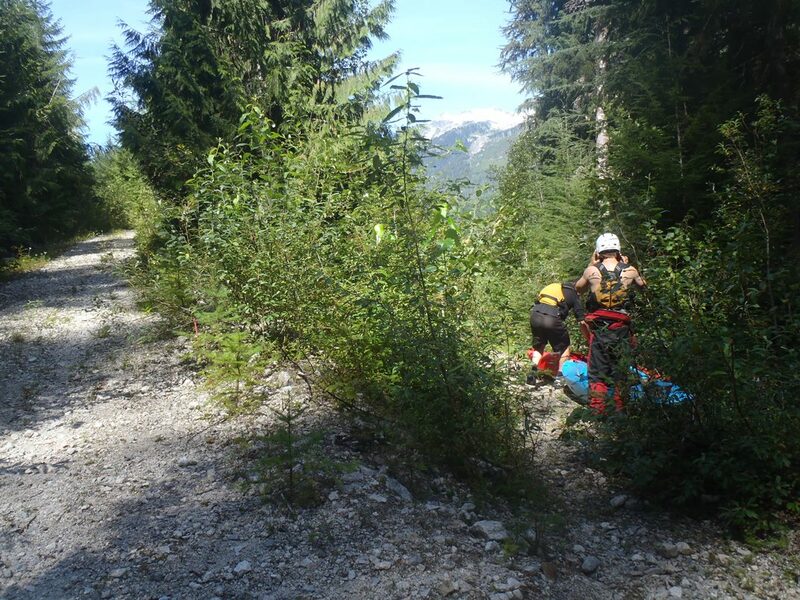 Take-out: Just North of Squamish on Highway 99, take Squamish Valley Rd. 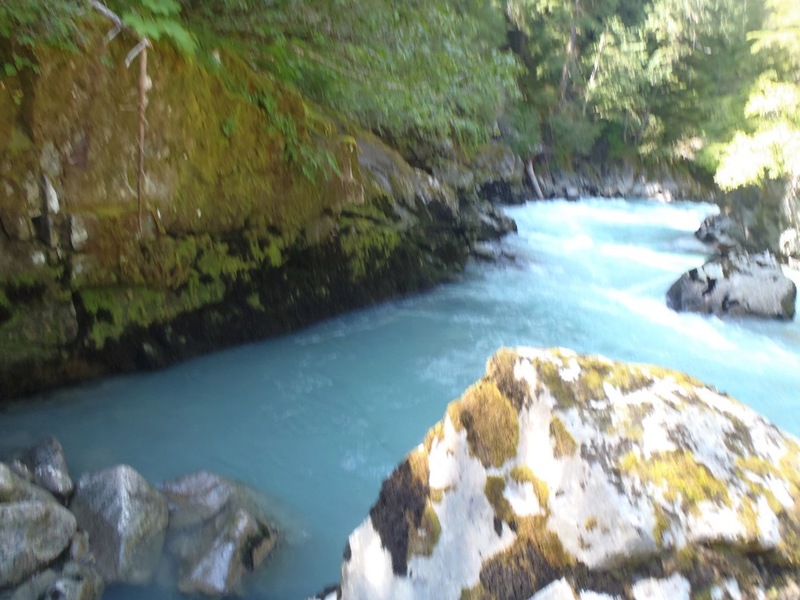 Immediately after crossing the Cheekye (or maybe it is the Cheamamus) River (less than 4 km)stay left on Squamish Valley rd. 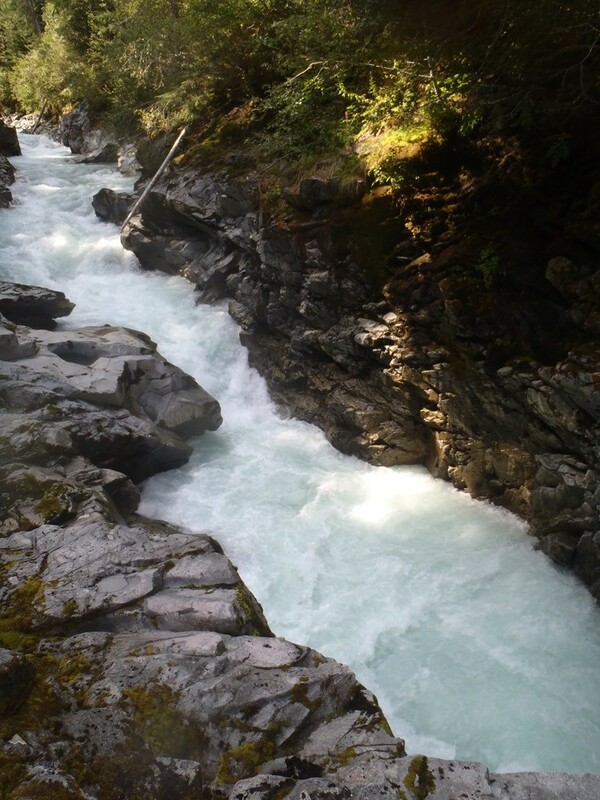 Follow for 20.1 km and turn left over the Squamish River. Follow this and quickly cross over the Ashlu before turning right to head up the Ashlu. The powerhouse you pass is the take-out for the Bottom Mile run. Continue up staying on the low roads. 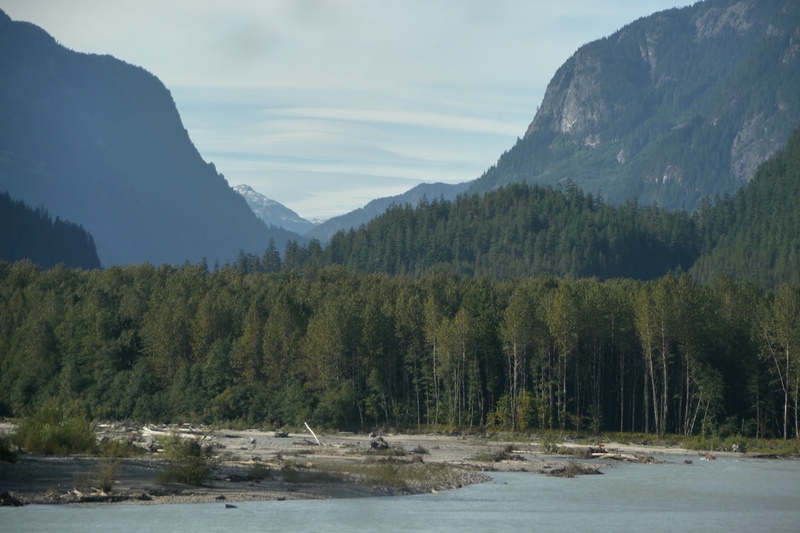 6.5 km from the turn over the Squamish you will come to a fork… the road to the right drops down to the bridge that is the Put-in for the Box run and for 50/50. Continue up the road to the left another 2km to get to the take-out for the Mine Run. Part at the gate that leads down to the lake. Put-in: Continue up the road, you will need at least a Outback / Highlander sort of car to make the rough road. But also not a super wide car as one spot is narrow. After maybe 3 km you come to a clearing with a burnt trailer. Park here. The trail/road continues though it is quickly washed out. Cross. After a few hundred yards there is a trail off to the right, as the one on the left begins to climb a hill. Go right. This then bends back to the right and heads downriver. Follow it and down climb when you get to a ravine that is also marked with ribbons. This leads you down to the river.